The study of landslides stability on mountain slopes can become very difficult when materials in movement are heterogeneous: it is a current problem with the old glacial till formations presently under study (Aspe Valley, Pyrénées, France). Analysis of slope stability using numerical models necessitates accurate data about mechanical and physical properties. Because tills are very heterogeneous, a large sample is necessary but, unfortunately, data acquisition costs a lot of time and money. Therefore, we would like to estimate mechanical data from correlated parameters that are easier to acquire (morphological parameters using image analysis). Observations in the field and previous mechanical results in the laboratory have shown that differences between the behavior of tills seem to be related not only to their 3D structure but also to the morphological and petrographical characteristics of their components. 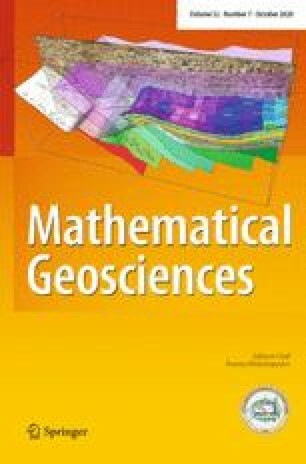 The aim of this paper is first to illustrate how to classify the till formations textural and petrographical characteristics at the sample scales; these classifications are based on the distributions of size, shape of their constitutive elements (blocks, matrix, etc.). Significant statistical results are available by applying image analysis methods based on mathematical morphology. Next we show how these characteristics are related to the mechanical characteristics (friction angle, cohesion). Six specific till formations were collected, and we establish the relation between the effective internal angle of friction and the elongation factor.